BIRMINGHAM, England — At last, Adam Kszczot has won a much-deserved global gold. After having previously earned three global silvers (one indoors, including one at home in Poland in 2014, two outdoors) by coming from behind, the master tactician Kszczot got the gold today in the men’s 800 at the 2018 IAAF World Indoor Championshps by doing what he always does — blasting the last 200 — but this time he had the lead at the bell and then ran away from everyone to earn to a dominating victory in 1:47.47 thanks to a last 200 of 25.06. Behind Kszczot, there was a three-way battle for medals. 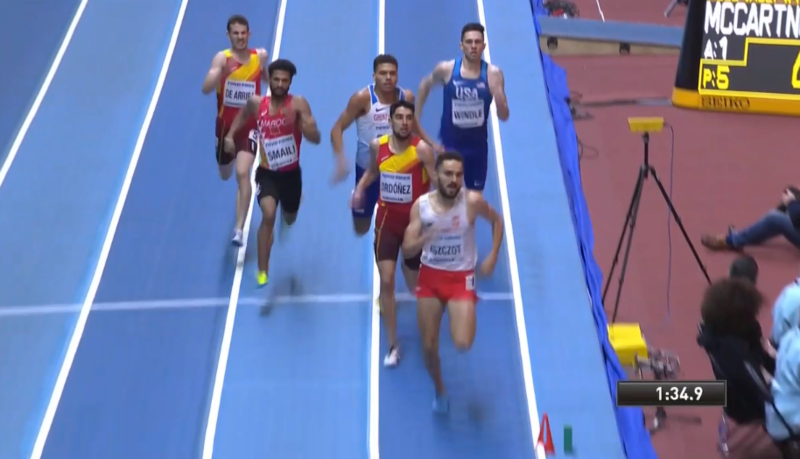 Initially, American Drew Windle, who started the last lap in last and the hit the last straightaway in fourth, just edged out Spain’s Saul Ordóñez 1:47.99 to 1:48.01 at the line for silver with Brit Elliot Giles (1:48.22) in fourth. A few minutes later, Windle was DQ’d for tugging on Kszczot’s bib just 400 meters into the race but ultimately the officials, who have DQ’d more than 20 competitors so far at these championships, including the top 2 later on the men’s 400 final, came to their sense and that DQ was overturned. The race started tactically as the first 200 was just 26.73 and 400 was just 55.73. Just before 400, Kszczot made a big move from fifth to second to put himself in a great tactical spot behind Spain’s Ordóñez. Ordóñez and Kszczot tossed some verbal jabs at each other over the next lap and at the end of the lap as they approached the bell, Kszczot used a quick burst to grab a lead he’d never give up. Windle began the last lap in last place but there was no panic. He calmly stayed on the rail and saved ground for entire last lap until he hit the final straight. Ahead of him, Kszczot, Ordóñez, and Giles were running 1-2-3 throughout the final 200. Coming off the final turn, Kszczot had a meter or two on Ordóñez and that would grow all the way to the finish line as Kszczot proved himself to easily be the class of the field. As Windle rounded the final turn, he had moved up to fourth even though he hadn’t left the rail as others had wasted energy and run extra distance trying to go wide. Once on the straight, Windle had to move out to the outside of lane two as Giles moved out to the inside of lane two to try to get by Ordóñez, who was struggling to hold on to silver. Roughly 20 meters from the finish, Windle went by Giles and then right at the tape in a lean he got by Ordóñez. Windle and the Brooks Beasts had won their first global medal. Quick Take #1: Kszczot deserved this both in terms of pedigree and the way he ran tonight. On so many levels, Kszczot deserved this gold. 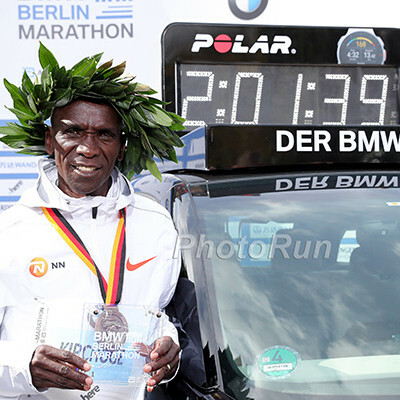 He came in as the best credentialed guy, having already had won three global silvers (no one else in the field had ever in been in a global final) and possessing the best PB of anyone in the field both indoors (1:44.57 to Windle’s 1:45.52) and out (1:43.30 to Windle’s 1:44.63), and then ran a tactically brilliant race that featured a 25.01 final 200 which is very hard to beat. Oh yeah, and did we mention that he’s now won 18 of his last 19 indoor 800s since the start of 2016? Kszczot has long been a master of the indoor oval but tonight’s race was his magnum opus. Usually, Kszczot runs toward the back of the pack and waits until the last moment to take the lead. But tonight, he moved up into second by 400 and was in front at the bell, far earlier than usual. And that was precisely the idea. Just like an NFL coach trying to surprise his opponent by going against his tendency, Kszczot decided to try something new and force his opponents to make a split-second decision. Of course, it helps that Kszczot was probably the best guy in the field anyway, but add a great runner to a great race and you get a dominant gold. Take a look at real speed at initially got Windle DQ’d. That’s not a DQ at all and we are glad it was overturned. Here it is in slow-motion. This was one of several moments where Windle was brilliant tactically (Windle also put his hand out when eventual sixth placer Mostafa Smaili tried to come in on him on the final turn), using his hands to remind people not to drop down on him on the rail. The fact of the matter is if you want to the tactical advantage of not being boxed in on the inside, then you have to run extra ground. You don’t have right to slam down on whoever is on the rail simply because a turn is coming up. As for tactics, we know the come-from-behind strategy Windle favors drives people nuts and we know some on the messageboard — and even Windle himself — were critical of his positioning in this race, but we disagree. Windle ran a nearly perfect race, particularly if the goal was to finish as high as possible. If the goal was to win gold, then maybe he should have used different tactics, but had Windle tried that he almost certainly wouldn’t have taken silver and maybe not a medal at all. Windle ran basically the entire first 550 on the rail in third place. It’s hard to top that as he saved a lot of ground and energy but did make one brilliant move to protect his 3rd position (the move at 400 that initially got him DQ’d). Now, approaching the bell, everyone got antsy and Windle soon found himself in last. 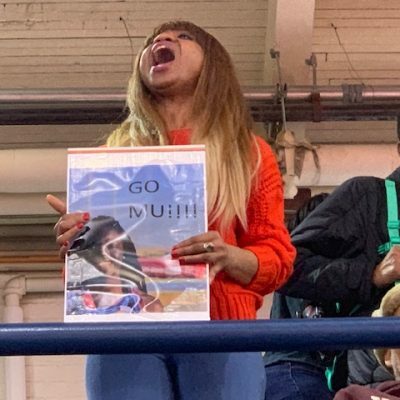 Yes, he could have moved out and stayed in third but then he would have had to run the entire turn and probably the entire last lap in lane 2. That would be an extra 7.6 meters, which is close to a second of running. So many people would have panicked had they found themselves in last. In fact, that’s what Spain’s Álvaro de Arriba, who beat Windle in the semifinals yesterday, did. Check out how much energy and extra space De Arriba is using here at the start of the final lap. Meanwhile, Windle saved ground and energy on the rail. 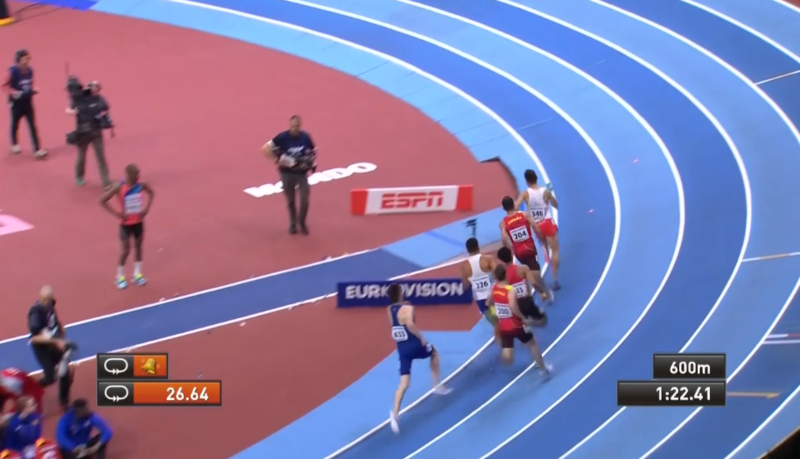 Then as they approached the 700-meter mark, De Arriba was out in lane three. 50 meters later, Windle, who never left the rail until the homestretch, found himself ahead of both De Arriba and Smaili. Windle, however, wanted gold, and the first thing he did after crossing the finish line was not to celebrate his medal, but to rip his bib off in frustration. But he changed his tune pretty quickly. With the way Kszczot ran tonight, Windle wasn’t going to beat him.. For those of you who think Windle’s final 200s was the fastest of the field, that’s not correct. We timed there final 200s. They were nearly identical. 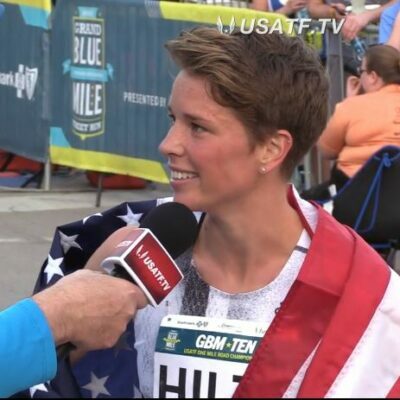 Windle’s teammate Katie Mackey and his girlfriend then began scrolling through Twitter (including the LetsRun.com account) to find out why he was disqualified. Kszczot, for his part, agreed. 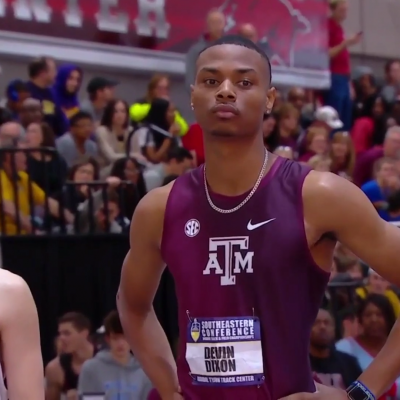 USATF filed a protest, and Windle said that he tried to stay calm but that he was “pretty heated” while waiting to see if the DQ would be overturned. He asked the BBC’s Michael Johnson how often things like this are overturned, and Johnson told him 50-50. Windle set the personal odds a lot lower, however. 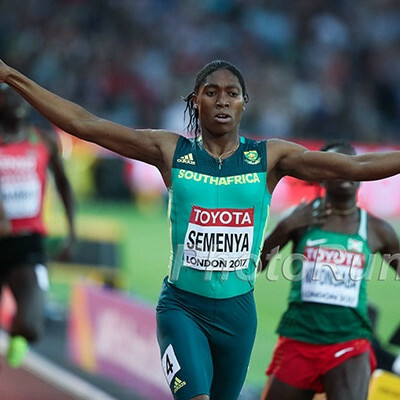 Finally, an hour and 27 minutes after the race was over, Windle learned that he had been reinstated when the IAAF tweeted the good news. 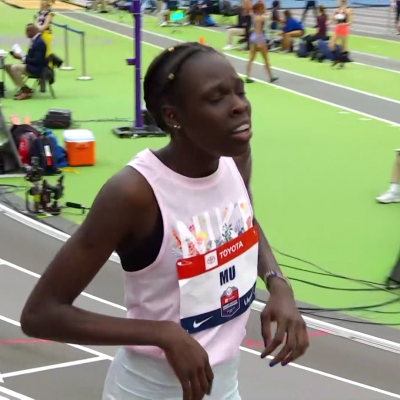 With pre-race favorite Emmanuel Korir unable to compete due to visa problems and then with Donavan Brazier getting eliminated yesterday, this field was full of inexperience except for Kszczot. Here are the credentials of the finalists before Worlds began. Adam Kszczot – 1:44.57i,1:44.30 – 3-time world silver medallist and 5-time European champion. Saúl Ordóñez – 1:46.96i/1:45.28 – 1st global championship for the 23-year-old, who won silver at the 2015 European U23 champs. Elliot Giles – 1:47.61-/1:44.99 – 23-year-old who won bronze at 2016 Europeans ran in semis of 2017 Worlds and heats of 2016 Olympics. 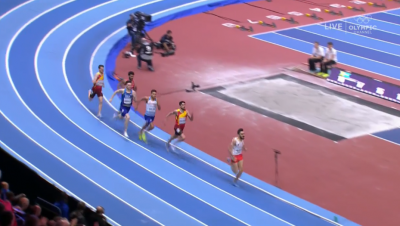 Álvaro de Arriba – 1:45.43i, 1:45.06 – 23-year-old was 2017 European indoor bronze medallist and 2017 Worlds semifinalist. 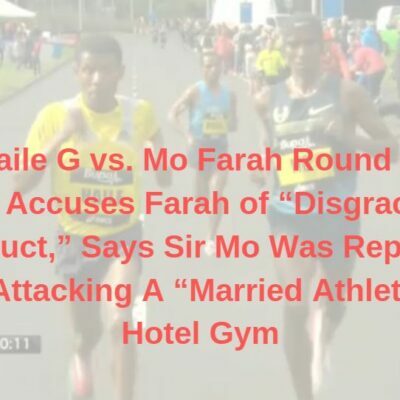 Mostafa Smaili – 1:45.96i, 1:45.05 – 21 years old. 6th at 2016 World Indoors, 3rd at 2016 World Juniors. 2016 Olympic semifinalist. Heats of 2017 Worlds. Talk about today’s action on our world famous messageboard. MB: Officials change their mind. Drew Windle’s DQ is lifted. He’s won silver! !